Choose from one of these three options to connect with us and we will respond promptly with a quote or next steps to partner with us. If you're a couple wanting help with design and/or printing contact us to see how we can work together. 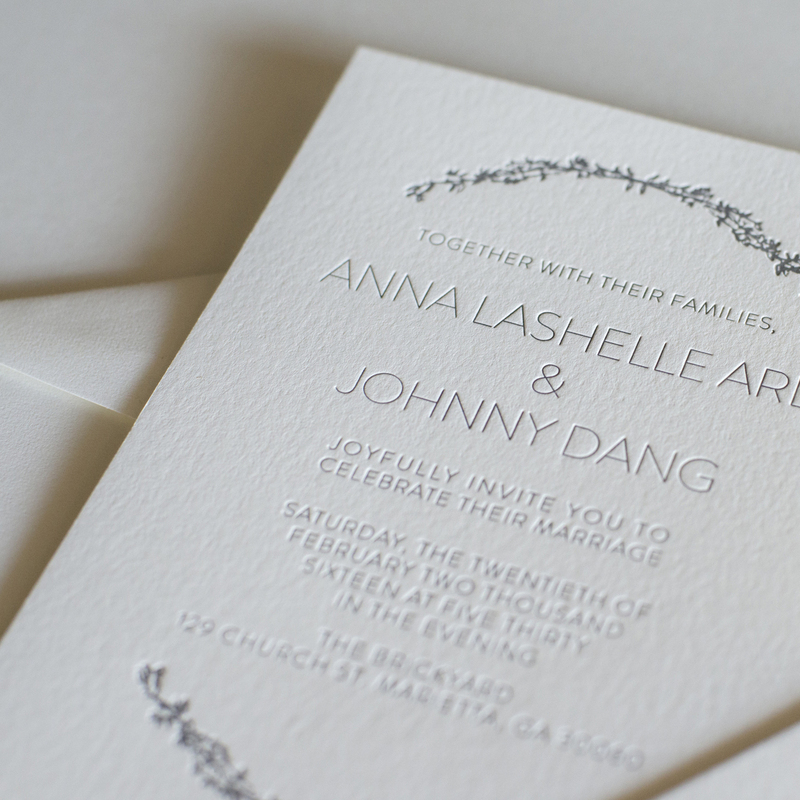 Are you a stationery designer looking to partner with a letterpress shop? We'd love to connect. 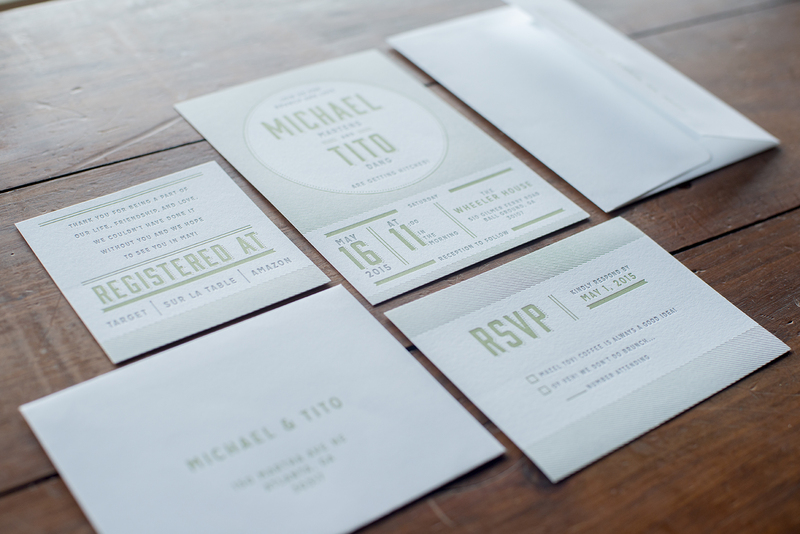 If you're a wedding planner that's looking to add a good letterpress shop to their vendor list connect with us. We use luxury papers to print all of our wedding invitations and stationery suites. We have cotton double-ply papers that are guaranteed to feel great in your hands. 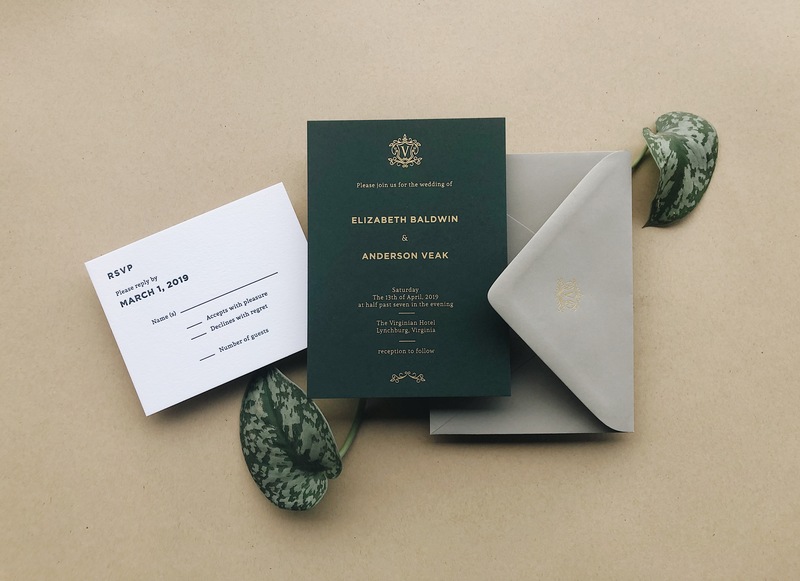 We offer letterpress printing, foil stamping and embossing and a variety of finishes to make sure your invites are beautiful and unique. We also offer custom design services. If you are needing your invitations designed and printed we offer full custom stationery suites.